We prepare students for their senior VCE, VET and VCAL studies and provide them with significant opportunities to explore their future. We provide a challenging, stimulating and supportive environment that develops confident, self-directed individuals. The Year 10 program consolidates our students’ journey into adulthood, and we prepare them with the skills and knowledge required for life-long learning and success in a changing society. The program enables students to develop structured pathways to ensure their future success by providing a wide range of subject choices, appropriate preparation for VCE, VCAL and VET courses and opportunities for work experience and careers advice. 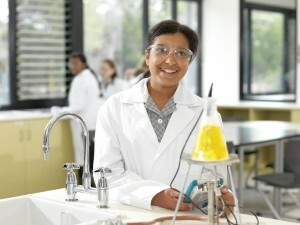 In addition to the core subjects of English and different levels of Maths, the choice-based elective program provides pathways to the Victorian Certificate of Education (VCE), the Victorian Certificate of Applied Learning (VCAL) and Vocational Education and Training (VET) or further study or employment. Students are encouraged to complete a VCE or VET level subject and higher achieving students can fast track their studies through the accredited SEAL program. Every student in Year 10 completes the VCE Unit 1 Industry and Enterprise subject which provides credit towards attaining their VCE. encourages participation in extra-curricular activities to teach and engage students and impart life skills, including class excursions and the annual Year 10 camp. More information regarding the program is available In the Year 10 Handbook. Booklists and SEAL Booklists are also prepared and available for each year level.